Snapchat touts itself as the go-to platform to reach millennials, and the most effective way to engage them is by turning the camera to fit the app's vertical perspective. The move is prescient, given the latest video apps Meerkat and Periscope also stream vertically. "We're starting to meet with the top creatives at agencies and CMOs, and in terms of education, shooting vertical is in that conversation," said a Snapchat rep. Marketers now have to be more thoughtful about adding Snapchat to a campaign, and it requires this customization, the rep added. 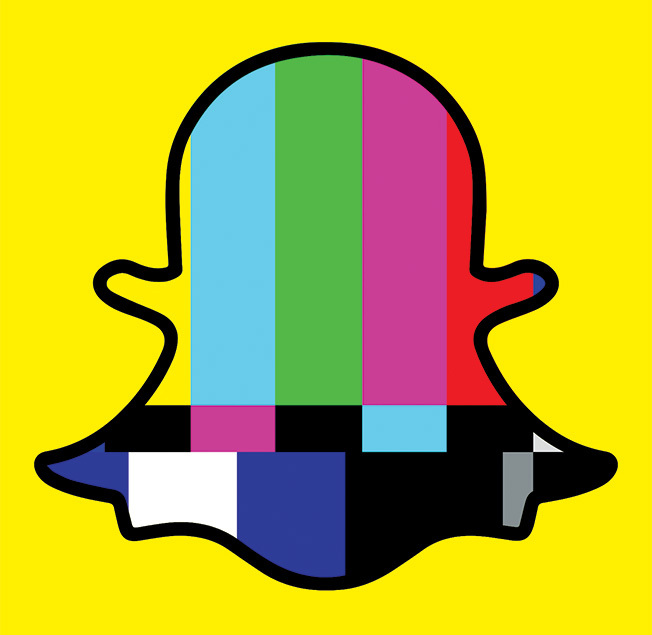 One of Snapchat's main features is its network of media channels under its Discover brand where Comedy Central, ESPN, Cosmopolitan and others post daily roundups of their best content. The channels host original shows and other digital video snippets mixed with ads. Snapchat said the best-performing shows and ads are those that are shot vertically; ads are viewed to the end nine times more frequently than horizontal ones, it added. That's because users are watching with their phones in the upright position. This new reality in video consumption should be a hot topic this week as marketers gather in New York at the Digital Content NewFronts. Any disruption before consuming an ad unnecessarily discourages users, said Troy Young, president of Hearst Digital. When horizontal videos pop up, they play in a downsized screen in the middle with a void above and below—kind of the opposite of how widescreen looked on old TV sets. "Mobile phones are vertical devices," Young said. "Turning it sideways is a lot of work." Hearst publishes Cosmo, which refreshes its Snapchat channel daily and sells sponsorships to brands like Sperry and Victoria's Secret. The magazine often repurposes landscape-formatted video for its own content, which must run on other platforms, but it encourages the brands to shoot vertically with specially created commercials. It's no small challenge. Snapchat, even with 100 million-plus users, has to convince brands not only to advertise on its untested platform but also teach them how to create ads from this new vantage point. "Snapchat definitely set the tone for this, but there's definitely a lot to be said for the fact that Meerkat and Periscope have prioritized the vertical video," said Nick Cicero, founder of Delmondo, a digital talent agency. "It's a new medium. It's not TV and it's not YouTube, so I don't see why a new aesthetic for video can't also emerge."